Do I Need Planning Permission for a Juliet Balcony? One of the questions we frequently hear asked is “do I need planning permission for a Juliet balcony?” The answer tends to be no, but there is no straight answer. Read on to understand more about planning regulations for Juliet balconies. 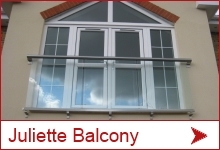 A Juliet balcony is not a traditional balcony so planning regulations are more lenient. As you do not need an external platform for the balcony, very little alteration is taking place to your property. 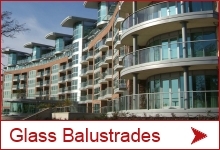 Normal designs of balustrades, or shall we say until Balcony Systems Balustrade system was introduced, have always relied on the strength of posts cantilevering from the floor or relied on the strength of glass clamped at the floor to resist the loads at the top. 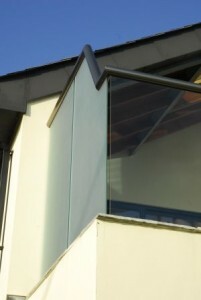 This is the traditional and frequently seen solution for balustrades, glass or not. 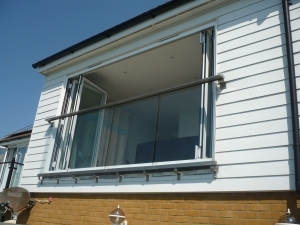 The glass balustrades supplied by balcony systems has broken this routine and introduced a refreshingly innovative approach to resisting the loads. Rather than cantilevering the load and thus needing to design a very rigid base the handrail is designed to take loads direct at the design height. 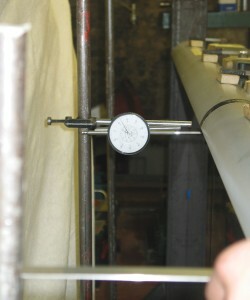 Fixing the handrail to the falls allow the handrail to work as a rigid element which resists the loads. 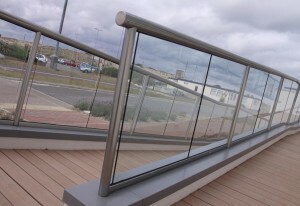 When corners are introduced the special way the handrail parts are connected and the way the glass is continuously silicone sealed to the glass along the long edge of the glass uses the shearing load of the glass from the handrail right down to the base rail. Again this “out of the box” approach allows for clean glass corners and for cornered balconies to require less posts than ever. To top these designs some curved balconies, depending on the radii, are amazingly strong without posts! The curved glass railing is a very stable element to the greater ability of the curve to resist a load by way of spreading the resistance across the curve, similar to a brick arch. 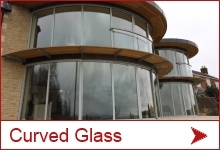 In addition the glass itself lends additional horizontal support in a fashion that each curved glass panel cannot bend along the vertical side. What Glasses Are Allowed On Balconies? There is much confusion and many rumors running around regarding the correct type of glass allowed on balconies and balustrades. This stems from two reasons; the first being lack of understanding of the required standards and the second a vested interest in sending customers towards a specific product. 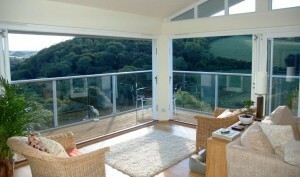 What are the legal height requirements for railings?